“White-stag-holsters” by Webmaster102. Licensed under CC BY 3.0 via Commons. As cultural institutions struggle with concealed and open-carry weapon laws in their respective states, Wisconsin is bringing the gun debate to the classroom. Senate president Mary Lazich and Representative Robert Brooks proposed a bill that would permit holders to carry concealed weapons on school premises, possibly even within school buildings. 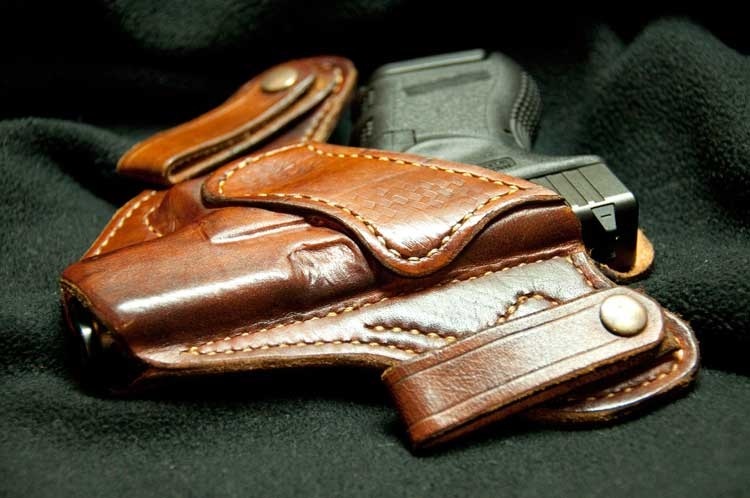 According to Lazich, the purpose behind the law is to ensure that when parents are dropping off their children on school grounds and carrying concealed weapons, they are not violating the law. However, some local officials in Wisconsin, including police departments, are not supportive of the bill. Lazich and Brooks introduced the bill on Wednesday and intend to hold a Senate committee meeting in about a month. According to Lazich and Brooks, the idea for the bill came from school officials like Tom David, vice president of the New Berlin School Board. “When they drop off their kids, pick up their kids, I don’t think they realize they’re breaking the law,” Brooks said of permit holders. Brooks also indicated that he would feel remiss if parents were unable to defend themselves or their children during a potential school shooting. The proposed bill would allow school boards to individually make decisions about whether guns are permitted within school buildings, such as allowing teachers to carry concealed weapons. In support of the bill, Brooks cited the success of the state’s concealed weapon law, which was adopted in 2011. Like other states, the Wisconsin law does not allow guns on school grounds. Given the fact that law enforcement agencies are explicitly prohibited under our current (concealed weapons) law from analyzing their own data to determine the impact—both positive and negative—of the 2011 law, I am curious to see what information Representative Brooks has collected and used to determine that the law has been, as he says, effective. Brooks and Lazich have themselves been receiving criticism for the bill, some even from members of their own party, like State Senator Luther Olsen, the chair of the Education Committee. “I’m not sure we need that,” said Olsen. “I haven’t heard any of my constituents ask me to have that.” Other representatives, like Democrat David Bowen, expressed concerns about allowing concealed weapons around children. Similar to the situation of allowing open-carry weapons in Texas zoos, Jeri Bonavia from the Wisconsin Anti-Violence Effort questioned the political reasons behind the bill: Is it from genuine concern that concealed weapon–carrying parents are violating the law, or is this an unnecessary fight for the gun lobby? Some Wisconsin school officials also hit back that allowing guns on school grounds would be the best measure for addressing school safety.